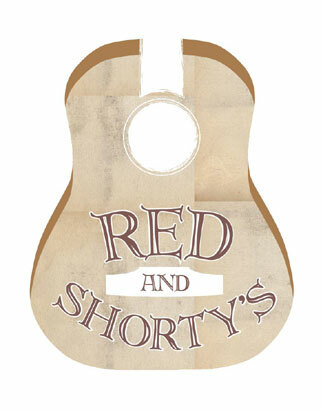 Red & Shorty’s is delighted to welcome two of our absolute favorite musicians, Kristi Rose & Fats Kaplin! Husband & Wife Duo---Kristi Rose & Fats Kaplin, have long been recognized as artists of distinctive note. Kristi Rose as a powerful and evocative singer and writer. Fats Kaplin as a composer and master multi-instrumentalist, who, over several decades, has played with hundreds of artists. Together they are mesmerizing performers who have created a highly eclectic musical genre, (and a way of life) known as Pulp Country. It is a world of cinematic proportion where rural and urban collide. Their very particular slant on the world is shaped by their individual backgrounds. She is from a farm in far Southern Illinois, an area historically known as “Little Egypt” that has a dark, hard scrabble past. He was raised on the Westside of Manhattan, a working class cultural melting pot where music and life reverberated through the air shaft and into his psyche. Their numerous critically acclaimed albums include the classic “This Is Pulp Country!” ---“Kristi Rose- Live In Holland”, ---- Fats’ “The Fatman Cometh” ---“World of Wonder-Downunder”---numerous EPs and their most recent, an album for the Christmas Season in 2010, “I Wonder As I Wander”. As a duo, Kristi Rose & Fats have played venues ranging from major festivals and clubs in the U.S., Canada and Europe to intimate House Concerts and Listening Rooms. Onstage, through story and song, Fats, with lone guitar and fiddle, and Kristi Rose with a voice that gives cry to the heavens, conjure up the thinly veiled lives that we all must lead. Lives that are haunted by ghosts of regret, disrupted by carnal dreams, yet still able to be given over to rapturous joy.